This little number is one I created for my daughter, who I always called Sunshine when she was young. Now I find myself calling my granddaughter by the same moniker. You can't really blame me, they look so much alike even though they are aunt and niece. So when they are together, they are Sunshine One and Sunshine Two! The card stock, DSP and ribbon are SU. 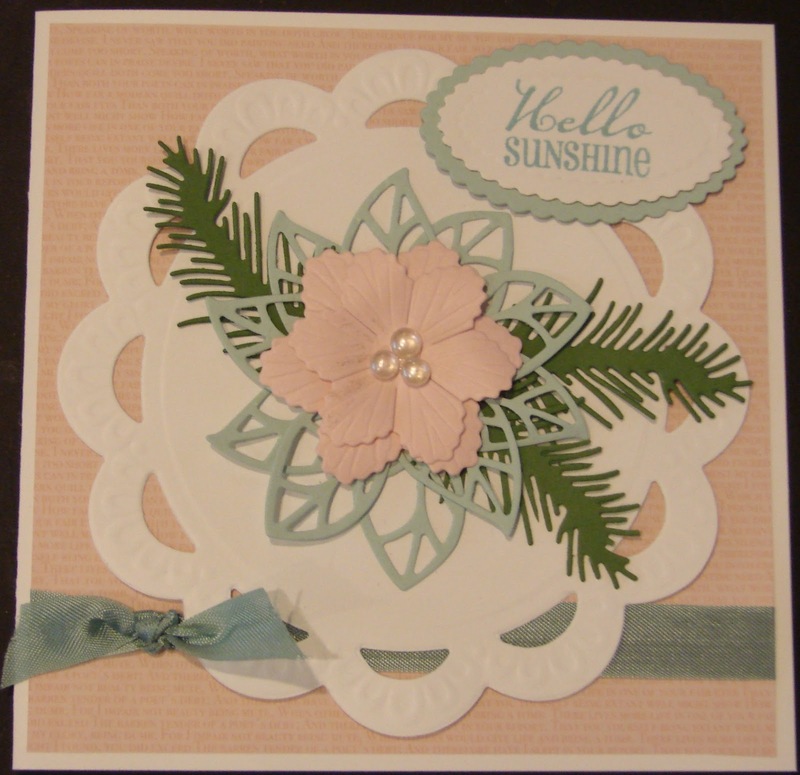 The colours are Baja Blue, Blushing Bride, Garden Green, and Whisper White.The dies are all Marianne Design Dies. I just stumbled across this line a few months ago and I really love the designs. They are a bit tricky to use but worth the extra effort. 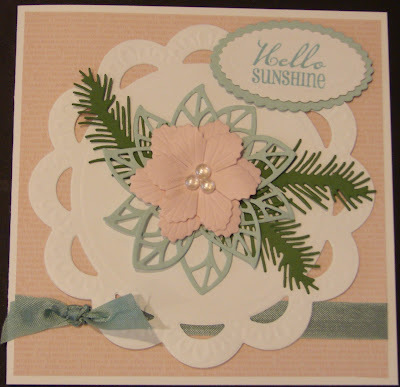 I used Spellbinders petite scallop oval dies for the sentiment which is from Verve. (I could not resist a whole set of stamps with the word 'sunshine' in it!) Then I popped it up using dimensionals. Finally I topped everything off with some Dew Drops in the center of the flowers. That is it for today. Enjoy your weekend, and find some time to get your fingers inky. Just gorgeous! Little tip for difficult dies...use a layer of wax paper between the die and your cardstock or paper.